A historian has reconstructed the lost library of books that accompanied Charles Darwin during his five-year scientific voyage across the world, allowing the public to read the more than 400 volumes that served as reference and inspiration for the young naturalist whose theories would revolutionize biology. 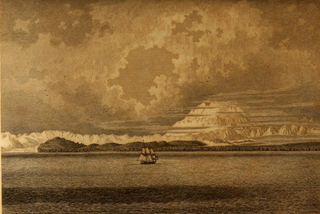 When Charles Darwin first stepped aboard the HMS Beagle in 1831, he was stunned at how small it was — a mere 90 feet long and 24 feet wide, with only two cabins. But what the vessel lacked it space, it more than made up with a state-of-the-art library that was housed in Darwin's quarters. The library was dispersed at the conclusion of the voyage. But now, nearly 180 years later, it has been electronically reconstructed in its entirety by historian John van Wyhe and is freely available at his Darwin Online website. The collection consists of more than 195,000 pages containing over 5,000 illustrations. Most of the reading material was atlases, nautical charts and books on travel, geology and natural history, although there was also some literary works, including John Milton's Paradise Lost. Scholars had previously identified 132 of the books based upon Darwin's writings, but van Wyhe was able to track down the rest by closely reviewing Darwin's field notes, as well as accounts written by the Beagle's crew. Clearly the library formed a major part of Darwin's Beagle voyage research from the start. Having the library now available online reveals the sources and inspirations that Darwin read day after day as he swung in his hammock during long sea crossings or as he worked on his specimens at the chart table or under his microscope. The Beagle library was always at his finger tips. Before the Beagle reached a new location, Darwin was able to read the reports of earlier visitors. He could thus begin his work well armed with whatever was already known rather than starting from scratch. The scientific questions he found answered and indeed left unanswered in the library colored the way he thought about what he encountered. Van Wyhe says was surprised by the extent and variety of illustrations he found within the collection. "Many of the works were beautifully illustrated with woodcuts or engravings of animals or scenes of exotic lands."